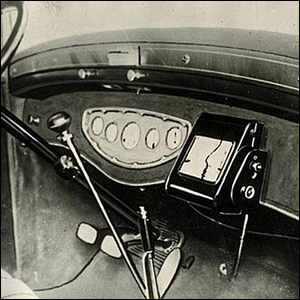 Long Before Modern In-Car GPS Systems, Motorists Used Automated Directions Provided By? Which Book Was Released In An Asbestos Lined Hardcover Edition? If you’re one of the hundreds of millions of people with a smart phone or in-car GPS (or both), we’d like you to take a moment to imagine a bizarre-by-modern-standards scenario. Today, if you want directions to a city in a different part of your country, you pull out your phone or key in the address on your dashboard console, then follow the real-time, constantly updating map that uses a complex network of geostationary satellites to triangulate your position on the planet. That’s the heart of modern map use and the GPS system, and nearly all of us use it with regularity. Now imagine that it’s the early 20th century and not only are there no satellites of any kind (let alone geostationary ones that connect to a computer in your pocket), but there are also no in-car dashboard computers either. You’re planning a journey to a neighboring city and want to use a map, but you also have to drive your car, so you can’t just hold the map in your hands. Further, you’d like the map to update as you continue down the highway. What do you do? Well, if you’re a well-heeled and fashionable motorist, you can invest money in the Iter Avto (Iter Auto), the black television-looking device seen mounted to the dashboard of the car in the old photo here. The Iter Avto (Iter Auto) was the first in-car navigation system and was comprised of map scrolls mounted in a display housing, hooked up to gears linked to the odometer system of the car. When you took a trip requiring a map, you popped in a scroll-style map of the route and as you drove along, the map advanced in sync with the distance your car had traveled. The downsides of this should be immediately apparent: any changes in the route taken required you to reload or switch the scrolls. As annoying as we all might find our GPS unit announcing “RECALCULATING!” to be when we make a wrong turn, at least we don’t have to pull over, open it up, swap out some paper, and try our best not to make another wrong turn lest we have to do it all over again. Image courtesy of 99% Invisible.